Winter sports are a source of passion, for beginners and seasoned skiers alike. And winter is always a season to look forward to: a snowy white coat, peaceful scenery, fresh air, the thrill of the slopes... what could be more exciting! Go skiing on your own or with a group. Enjoy the fun with friends and family. The Quebec Ski Area Association invites you to visit maneige.ski/en/ to plan your perfect ski trip. Find out about snow conditions, special events, promotions and even summer happenings. 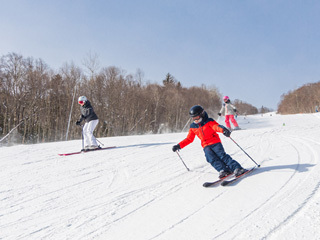 All types of skiers will find tips suited to their needs to make the most of a ski trip to one of Quebec's 70 ski centres.